NEW! 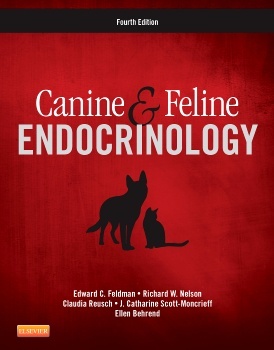 Updated content includes the latest information on: thyroid disease; current imaging studies; atypical Addison's disease; atypical Cushing's disease; idiopathic hypercalcemia in cats; insulin therapy in dogs and cats; diagnostics and treatments; and radiotherapy. NEW! Integration of sound nutrition practices into the treatment of endocrine disorders ensures that you have the knowledge you need to efficiently treat these disorders. NEW! Expanded coverage provides more information on geriatric dogs and cats and the latest findings regarding the treatment of diabetes (two factors which are often interrelated).